Campus blue light emergency phones are a crime deterrent because they are highly visible and easy to access. The phones provide peace of mind for parents, students, employees and visitors on campus. 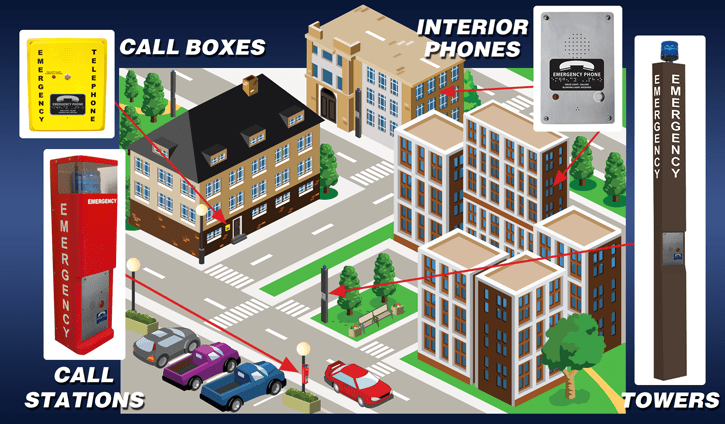 Emergency phones are typically located all around campus: housing, common areas, parking lots and structures and interior locations. Blue light phones have been providing security on campuses for three decades.